"Winter will arrive this summer"
After months of silence, HBO announced today that the seventh season of Game of Thrones will officially arrive on Sunday, July 16, 2017. The penultimate season of the hit fantasy series will, as was previously announced, consist of only seven episodes, three fewer than the usual ten-episode long seasons of the show’s past six years. 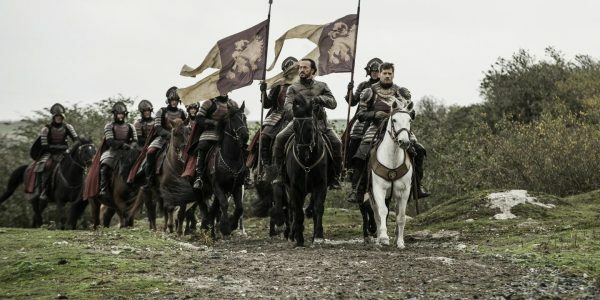 Unsurprisingly, the announcement didn’t come with any additional information, as HBO has managed to keep an incredibly tight lid on the series, particularly since the incident two years ago where the first three episodes of the show’s fifth season were released for illegal download online prior to airing. While fans only have to wait another four months for new episodes of Game of Thrones, it should be noted that the perennial Emmy Award favorite will not be eligible for the 2017 Emmy Awards due to its late premiere (the Emmy eligibility cut-off date is May 31st, 2017). This means that the reigning Best Drama will be out of contention, opening the door for other nominees to take the statue.